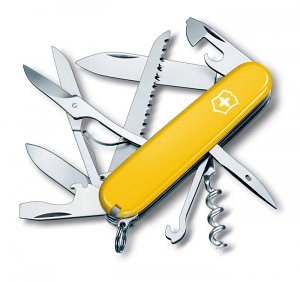 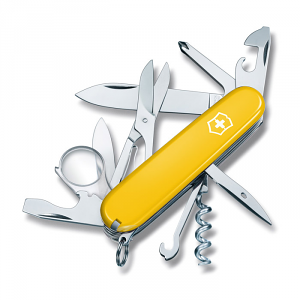 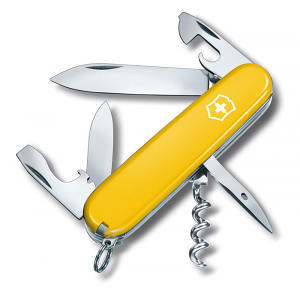 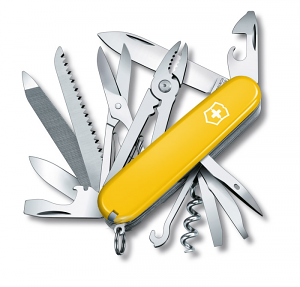 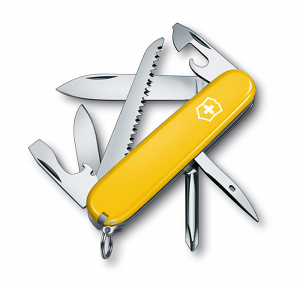 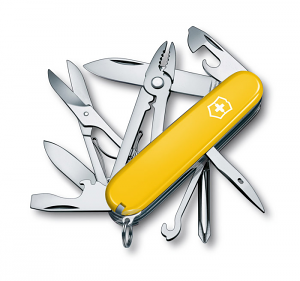 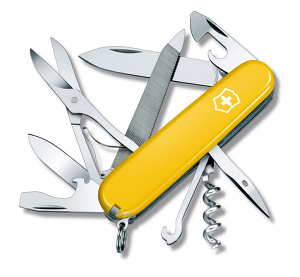 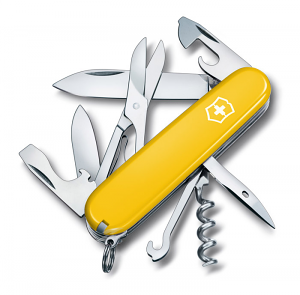 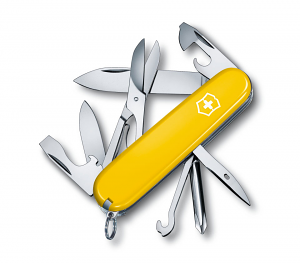 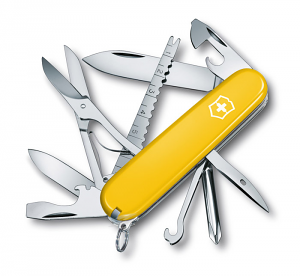 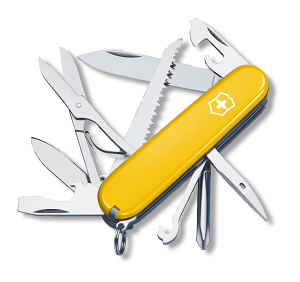 If there's one Swiss Army Knife that punches above its weight, it's the Victorinox Compact. 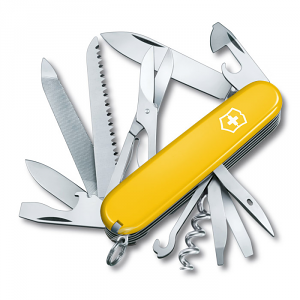 It may have just 7 tools, but it gives you 14 features that no gadget enthusiast could ever be without. 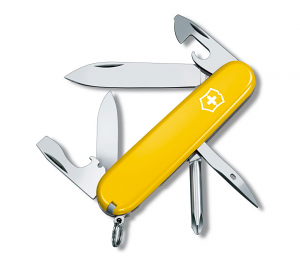 In fact it's so useful, you'll probably want two – one for your kitchen drawer and another for the glove compartment in your car. 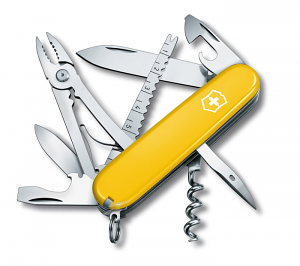 For personal grooming (toothpick, tweezers, nail file, scissors) the Compact Swiss Army Knife is a life-saver. 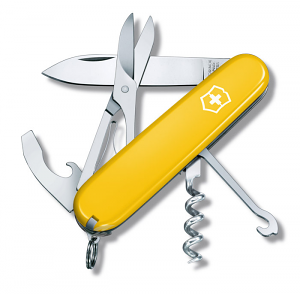 For picnics (corkscrew, large blade, and combination can and bottle opener) it's essential. 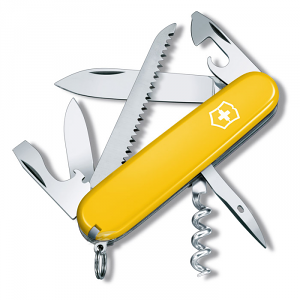 Even bargain hunters find a use for that load-bearing hook when their shopping bags break. 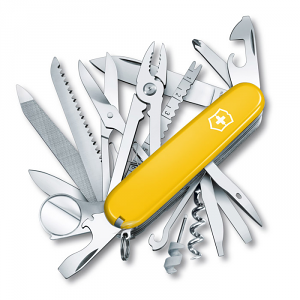 And then there are those thousand-and-one little jobs that the large screwdriver, mini screwdriver, ballpoint pen, wire stripper, and stainless steel pin always manage to sort. 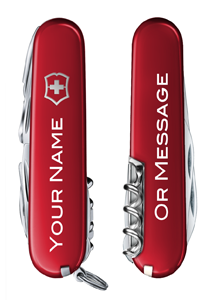 Wherever you are, and whoever you are, the Victorinox Compact is the handy pocket knife that keeps you at the top of your game.